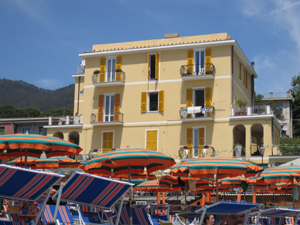 Posts Tagged 'accommodation in Italy"
Saddle, slot, crevasse - a translation of the Italian title of the world's most famous Ferat. Route secured with steel ropes, metal ladders and tacks nailed to the rocks, We stretch wildest scenery in the Dolomites massif called Brenta. Mountain ridge Dolomiti di Brenta stretches in northern Italy between the city of Trento and the ski resort of Madonna di Campiglio. Let's go over here to Munich or Salzburg, A burner Bolzano. Motorways in Austria are paid highway sign, in Germany pays nothing, Brenner Pass is chargeable myth and Italian motorway exit are paid by mileage. The Madonna are all paid parking. The largest is directly under the cable car to Grosté. Cheaper is overnight parking, than the sum of one-day receipts. Brenta entire passage from the saddle after ferátách Grosté, which runs from Madonna di Campiglio lift, Twelve Apostles to the cottage and down to the town of Pinzolo usually lasts three days. You can spend the night in huts climbing famous names Tuckett, Alimonta, or Pedrotti. 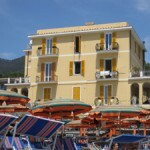 Housing costs between twenty and thirty euros per night, Children pay half. Proof Alpenrevier cheaper accommodation by half. 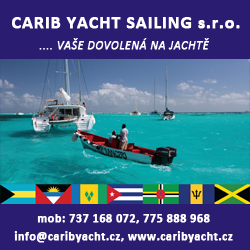 The holiday weekends are full bývý, so you need to book in advance. On weekdays, it is not necessary. Madonna's Return to the possible local bus. With them, we have to carry only clothes, Helmet, food and drink throughout the day and set ferátový. Designed to complement the tourist ax to possible icy spots and short glaciers. Suitable boots are solid. The cottages are suitable insert for lightweight sleeping bag or sleeping bag under the government-issue blankets. V létě je důležitý krém na opalování a tmavé brýle. Amazing cliffs beneath alternate narrow shelves in the perpendicular walls and sharp rocky ridges. At times we feel stuck like flies on the wall. We keep only a piece of iron attached to yellowish dolomite. For sure we are strapped to a steel rope with carabiners and climbing harness. Before us lean strut towers and sprawling rock, small glaciers and deep seat. Zigzagging between, where to lead us ropes. Via delle Bocchette runs along the main ridge of the central part of the Brenta. The shorter it is followed by other, but equally dizzying Ferat. Allow you to explore the entire mountain range in detail, or routes combine. Thanks to them we can get off the ridge, sleep on some mountain cabin and turn on the ridge comfortably return. 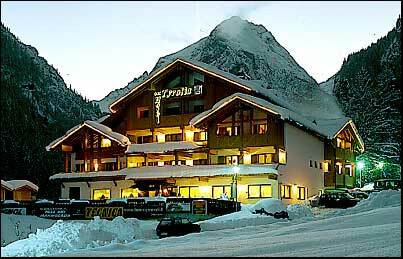 The night we arrived to the famous Italian resort of Madonna di Campiglio. Dospíme the parking lot and in the morning we get to export a gondola on a broad saddle Grosté (2446 m n.m.). Here in the winter skiing on wide and long downhill tracks. We're after flat škrapových fields below Cima Grosté. Walk around her left after soaring catwalks and into the slot chamois. When I was walking easy and secure short stretches. Here is the last place to thread ferátového set. Debris trail left to walk around Cima Falkner (highest point 2950 m n.m.). Absolvujeme after steep descent ropes zigzag system of short stacks and ridges. Other rock stage will take us over a huge valley, dominated by the slim tower Campanile di Vallesinella. Recently there glacier retreated, and so we can safely put down the dense traffic signs. Where the valley bends sharply, there are a couple of steel wire ropes. 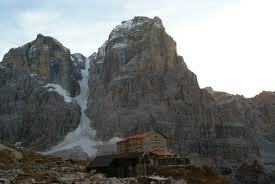 Ondra headache from a height, So we leave the main ridge and descend to two small huts Tuckett and Sella. In one dine and the second, fifty meters away, go to sleep. We drive headache drinking and aspirin. The next day we set off at dawn. At eleven o'clock in the morning the Brenta is usually enveloped by fog. We want to be at that time was on the ropes. Sosat trail is moderate and well secured. 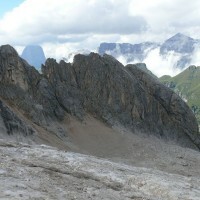 Leads in the right side of Cima Brenta. Amazing it makes several vertical ladders, that allow us to overcome the deep ravine. Fog really came, insights into the rocky cliffs are more impressive. At an altitude pass Dei Brentei chat and chats Alimonta connects to the ridge hike. After a small glacier climb rocks peppered the saddle Degli Armi (2749). Narrow comb through quickly climb ladders and clamps. In fifteen minutes we are at the start panting footbridge Figari. It is not difficult. It is amazing! Vertical wall disrupts horizontal bridge just a few feet wide. Fusing a taut steel cable. 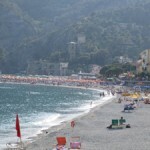 We continue through Sfulmini and Campanili Alto. Zigzagging T-slots, combs, chimneys and Stenka. Rope lead times for wet and cold northern side, sometimes after a hot south. Ferat grandiose conclusion obtains the walkways high above the valley in the walls of the Brenta Alta. They carry us to the saddle Di Brenta (2552). Descent is demoralizing. Descend bleak glacial valley, suspect under the rubble ice, but do not find any water to drink. It is up to the cottage Dei Brentei (2182). Rain drives us down quickly. When we enter into the forest, waiting for us, unfortunately, still a long climb over a rocky ridge side of the valley of the same name and Vallesinella cottage. Jealous of car-driving, who park here. We must arrive by road to Madonna. Matej testify in legs. Cry from exhaustion. I do not blame him. It was a long and difficult day. The car at the top end of town, it's still three kilometers, we come to him with Ondra. Let mom relax with Mathias in the passage, where it does not rain. (italsky Dolomiti di Brenta) je vápencové pohoří ležící v Itálii v provincii Trentino. Orography with massive shifts to the Brenta Dolomites, i když svou skalnatou hradbou a strmými štíty Dolomity připomíná. Length mass is around 40 km and average width is 12 km. Krajina pohoří Brenta v sobě skrývá jak nepřístupné skalní stěny, vodopády, mountain meadows and lakes, tak ledovce. Téměř celý hlavní hřeben je propojenzajištěnou cestou zvanou Via Bocchette. Mountains Brenta je na východě vymezeno tokem řeky Adige, kde na jihovýchodě leží významné město Trento. Od pohoří Gardských hor odděluje Brentu řeka Sarca a na západě od mnohem vyšší skupiny Adamello-Presanella. Dolina říčky Noce tvoří hranici masivu na severu. The mountain range covers an area of 700 km ².
Pohoří se dělí na tři pomyslné skupiny. Hlavní hřeben je dlouhý 25 km a táhne se ve směru sever – by. It consists of several smaller sub-assemblies, which is always present separate peaks, but generally it can be divided into North, Central and South. Here, almost in the middle ridge, také leží nejvyšší vrchol pohoří – Cima Tosa (3 173 m). Another significant total, which already has such a distinctive character, je travnatá oblast hor na jihovýchodě – Paganella se stejnojmenným nejvyšším vrcholem (2 125 m). Monte Gazza je poslední skupinou patřící do pohoří Brenta. Leží na jihu a výška masivu dosahuje 1 774 m.
Turistickým centrem je město Madonna di Campiglio na západě pohoří. Ve východní části je to samotné Trentoa uvnitř hor nalezneme turistický magnet oblasti, jezero Molveno s městečkem Molveno na svém břehu. Na severu je to zase červeně zbarvené jezero Tovelsee (1 175 m) lying at the end of the valley Toveltal, kterou se táhneasfaltová silnice z obce Tuenno. Celé pohoří je doslova protkáno hustou sítí značených cest. Some of them are secured. Nejznámější ferratou Brenty je slavná dálková cesta Sentiero delle Bocchette (Via Bocchette) Head across the mountains. Its overcome is between supporters secured routes announced. 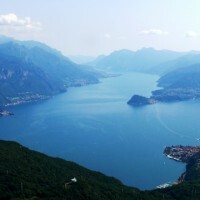 Lake Como (italsky Lago di Como nebo Lario podle latinsky názvu Lacus Larius) je fjordovité jezero vItálii jež se v podobě vidlice „Y“ rozdvojuje k jihu (Lago di Lecco). Je bohaté na ryby. Nachází se na územíprovincií Como a Lecco v Lombardii. Má rozlohu 146 km ², je 51 km dlouhé a 4,5 km široké. Po Gardském jezeře a Lago Maggiore je třetí největší v Itálii a se svou maximální hloubkou 410 m patří mezi nejhlubší v Evropě. Leží v nadmořské výšce 197 m.Jeho břehy jsou většinou prudké a skalnaté. Na východní a severozápadní straně je sevřeno poměrně vysokými horskými masivy Alp (Monte Legnone, 2 609 m). Lesions at the, kde se v minulosti posunoval Addský ledovec a u Alta Brianza se rozděluje na dvě části. Jezero na severu začíná u města Colico a na jihu končí jihozápadní rameno u města Como a jihovýchodní rameno u města Lecco. Komským jezerem protéká řeka Adda (levý přítok řeky Pád). Flows into the lake near Colico and flows out at Lecco. In the southwestern arm is no significant inflow nevtéká. Druhým nejvýznamnějším přítokem je řeka Mero, přitékající z jezera Lago di Mezzola. Thanks to the mild climate in the area is growing rich vegetation. Jezero je vyhledávaný turistický cíl s množstvím lázeňských míst aparků. Na jezeře je rozvinuté rybářství (trout, whitefish, carp) a místní lodní doprava. 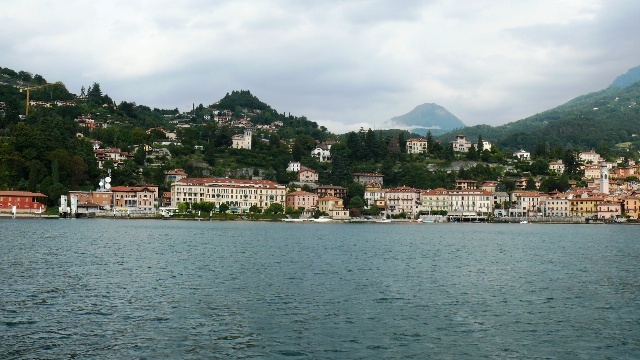 There are boat connections between městyVarenna, Menaggio Bellagio. Mountain World v srdci nejkrásnějších hor světa je velmi působivý a zahalený legendami. Locals' Ladins "here maintain ancient traditions and are highly skilled. 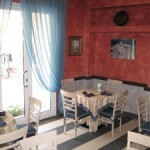 Since Roman times ladinštinou speak and live their passion for enjoyment and quality. 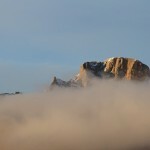 In Alta Badia can be simply demanding. Part of a quality menu is a typical rural architecture upland farms affected by the landscape below peaks of the Dolomites, in combination with local people hospitality. As for the culinary part of this unique harmony, comes into play Gault Millau, Gambero Rosso or Michelin. The prime culinary arts is best to check on the spot. 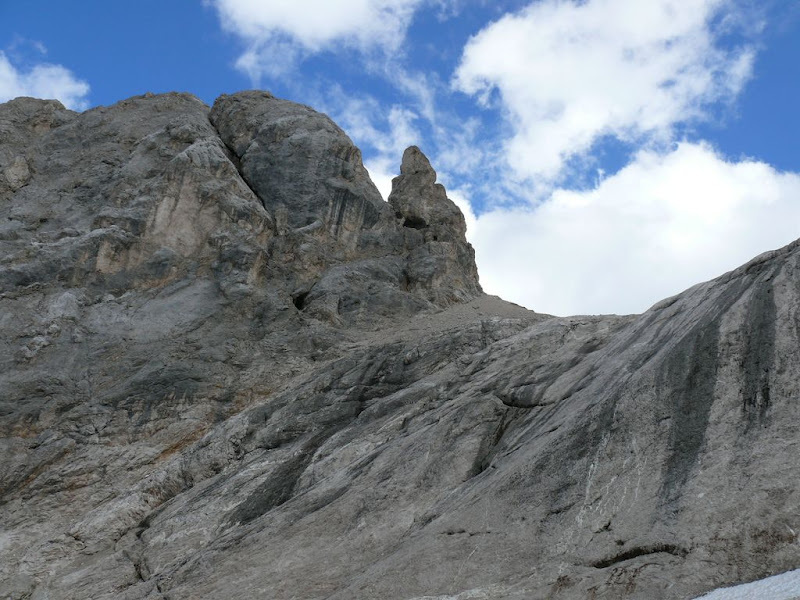 Horolezecká cesta Tridentina na Pisciadù among the most popular climbing routes in the area and throughout the Sella Massif Dolomites. Access to it is relatively short, výhled na údolí Alta Badia bere dech a v cíli čeká na horolezce horská chata. Výstup na zajištěnou cestu Tridentina na Pisciadù začíná na velkém parkovišti zhruba 4 Colfosco miles per village in the direction of the saddle Grödner Joch / Passo Gardena. Output thick pine forest leads to the rocky stairs, where with the help of fixed ropes to get the big rock terrace at the foot of the Sella massif rocks. To the right of the waterfall Pisciadù already starting to climbing. Using a tightly stretched rope climb up the rock to Schotterschlucht. From here you can descend via Extner Turm or continue left to the suspension bridge. After climbing to get to the plateau and mountain hut hut Pisciadù. Ideal for family skiing, středisko Alta Badia ovšem ocení zejména rodiny s dětmi. Vleky a loučky pro děti se nacházejí v celém areálu, So in all five towns: Colfosco, Corvara, The Villa, San Cassiano in Badia interconnected ski lifts and (Most accommodation has its own ski, This is certainly a good choice, because some parking under the lifts are chargeable). But for the little ones are ideal slopes above Colfosco. It's such a solar stash… The advantage is, že jste schování v údolí. Pokud si chcete i s dětmi vychutnat více zážitků velkou roli hraje fakt, že jste v Alpách, vydejte se s nimi na náhorní pláně, kam se dostanete lanovkou Piz La Ila z La Villy či lanovkou Col Alt z Corvary. Altitude 1324 – 2778 m.n.m. 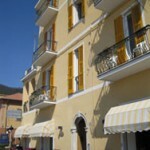 Hotel in the center of. 2-bedrooms, Room with extra bed, TV, phone, safe, bathroom with shower and WC. Vybrané pokoje mají terasu. The hotel has a restaurant, bar, sauna. Parking – free of charge. Selva di Cadore 5, 7 km away. 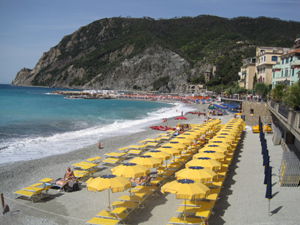 This family-run hotel is located in the town of Monterosso near the beach with stunning sea views. Většina pokojů je vybavena klimatizací. 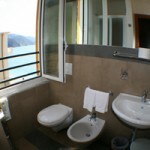 All rooms and studios have TV, shower,WC, phone. Rodinný hotel Aurora se nachází nedaleko centra Lignana. 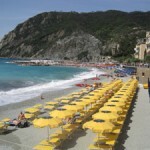 The beach is 300 m.
The hotel offers a varied cuisine with a selection from the hotel's menu. Guests can also take advantage of the diverse range of leisure programs např.aquagymnastiku for adults and children, beach volleyball, pétangue or miniclub. ** 1 person free (or before. worker). Price without transport! **The diszppozici nearby public sports and fitness. 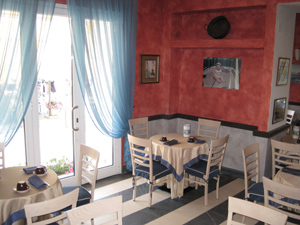 Surprise by its proximity to the center of Sabbiadoro. 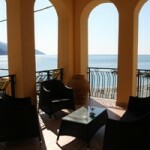 The villa is located 4 one-bedroom apartments for 2 – 4 persons and 7 room apartments for 4 – 5 people. All apartments have a kitchen kut, koupelnu a televizor. Na každém poschodí je společná terasa. Front of the villa is a joint sitting. The smallest is a children's area with climbing frame. 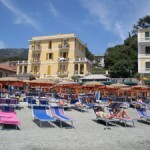 Distance from the sea 300 m.
equipment 2/3 bedrooms, kitchen toilet, bathroom, terasa apod. 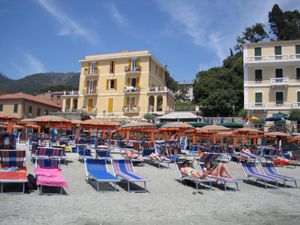 Villa Lucchese will surprise you by its closeness to the city center. 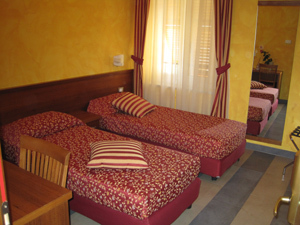 The villa is located 4 One-room apartment for 2 – 4 persons and 7 Apartment for dvojizbovych 4 – 5 people. 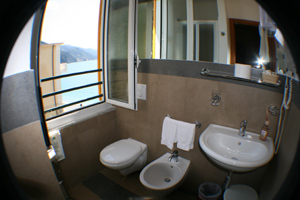 All apartments have a kitchenette, Bathrooms and TV. On each floor there is a spacious common terrace. In front of the villa is a joint sitting. The smallest is a children's swing and climbing frame. Parking in the yard. 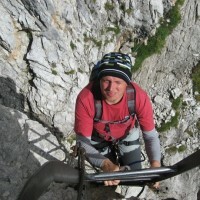 Marmolada ladinsky ( Marmoleda, German Marmolata) nejvyšší hora Dolomitů. Nachází se východně od Trenta v severovýchodní Itálii asi 100 kilometrů severo-severovýchodně od Benátek, of which is visible on a clear day. It consists ridge oriented from west to east, which consists of several peaks with decreasing height from west to east: Punta Penia (3,343 m), Punta Rocca (3,309 m), Punta Ombretta (3,230 m), Monte Serauta (3,069 m), Pizzo Serauta (3,035 m). 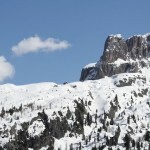 During the ski season Marmolada's main ski slope open to skiers and snowboarders. 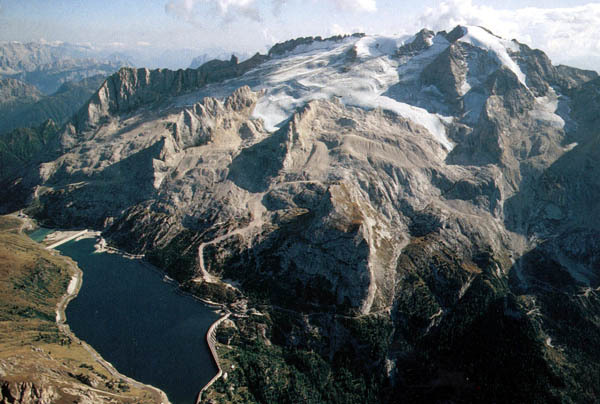 “Queen of the Dolomites” as it is sometimes nicknamed, Bode v. Punta kulminuje in Penia (3 344 m) – highest in the Dolomites. Severní stranu v horní třetině pokrývá mohutné ledové pole o délce 4 km a šířce 1,5 km. His appearance is very impressive and gives solid unique character. Z jihu se nám nabízí pohled na 800 m vysokou stěnu – Dream series extreme climbers. Eternal snowfield unfortunately due to global warming inexorably shrinking every year and significantly reduces. Ledovec je dobře přístupný. Kdo touží “to touch” it, can take advantage of favorable prices and be exported to lift hut Rifugio Pian Fiacconi. Reachable by cable car is the second highest peak groups Punta Rocca di (3 309 m). In the fall of 1917 was drilled in the body of the glacier 8 km of tunnels and built a town. Nowadays glacial drift no longer exist. Continual movement of the ice fields were destroyed shortly after the First World War. But sometimes, even today glacier guide shoes for unexpected expenses remnants of war – often the corpses are frontline soldiers. 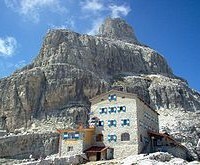 I Marmolada massif has its museum War. 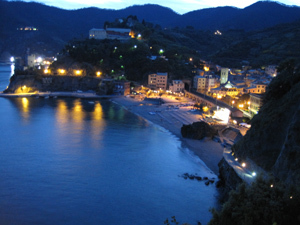 It is established in Punta crest Serauta (3 288 m), which was an important strategic point of Italians. Territory known “Area Sacra” ( Sacred, memorable place ), offers attractions besides the war and unique views. Another freely accessible museum ( Museum of the Great War in Marmolada ) is in the middle building second terminal at Punta di Rocca. First ascent – rakouský horolezec Paul Grohmann s italskými vůdci A. a F. Dimaiovskými climbed to the highest point in the year 1864. He had previously been carried out on the ridge outputs, but not to Punta Penia. The path leads mostly glacier - cracks, difficulty II. First ascent of the west ridge 1898 H. Seyffert, It. Dittmann L. Rizzi. In five years, there has already led Hans-made trail Seyffert-Weg, which is still a popular alternative rock type – firn. It is often used to reduce car trips Lago Fedaia - Rif. 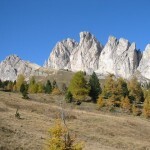 Pian dei Fiacchoni (2626 m). 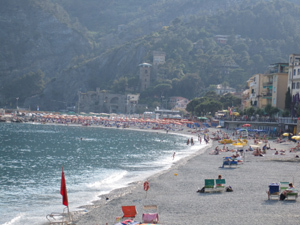 Cableway is open to the peak Punta Rocca di. If we want to admire “Queen” in all its glory, almost instructional perspectives offers a particularly heavy made trail Via delle Trincée. It follows the old war sidewalks, through rugged rocky ridge Crepes de Padon, which reaches the highest point on the top of Bec de Mesdi (2 727 m). North of Lake Fedaia, path rises meadows up to the Porta Vescovo. Then through the steep rock catch-up proceed further along the ridge, pursued by wire ropes, at the end of the cable-stayed bridge. 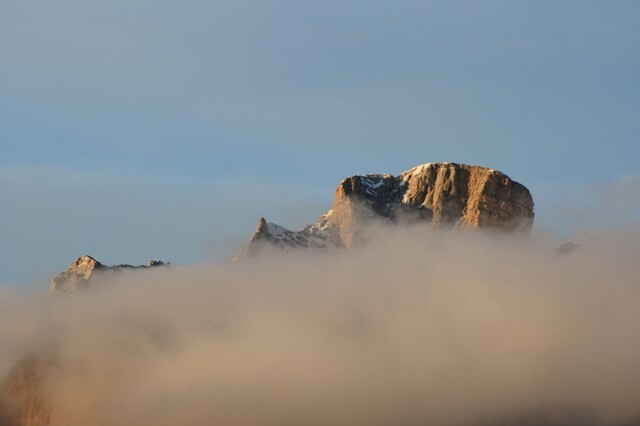 Visibility is good except Selly Sasso and Lunga, i can overlook peaks Tofani. Everywhere we meet with military emplacements from World War II. From the final leg of the journey is well visible Marmolada glacier ski area. 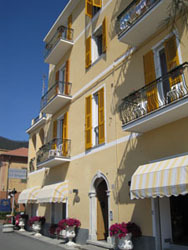 Hotel Tyrolia ***. Lyžařská oblast Arabba/Marmolada. Krásný rodinný hotel leží pod horským masívem Marmolada v údolí Val Pettorina. 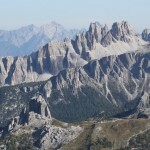 Nearby you will find the default route to the most beautiful peaks of the mountains and the Marmolada cable car. Podává se zde výborná tyrolská kuchyně s více než milou obsluhou. You can enrich your time in the indoor pool or relax after a mountain hike in the sauna. 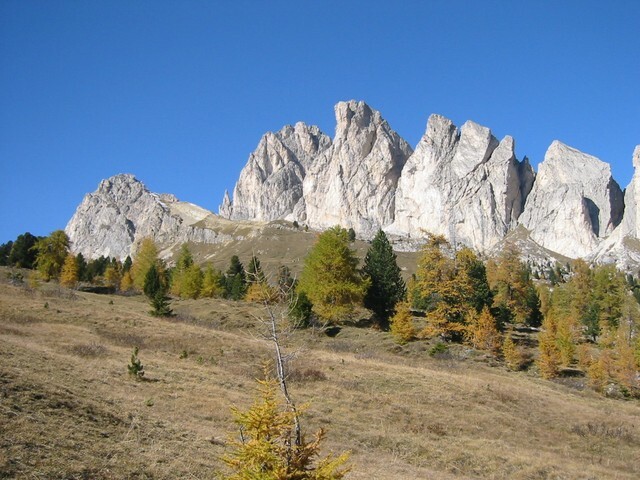 Ledovec Marmolada – is the highest peak in the Italian Alps. 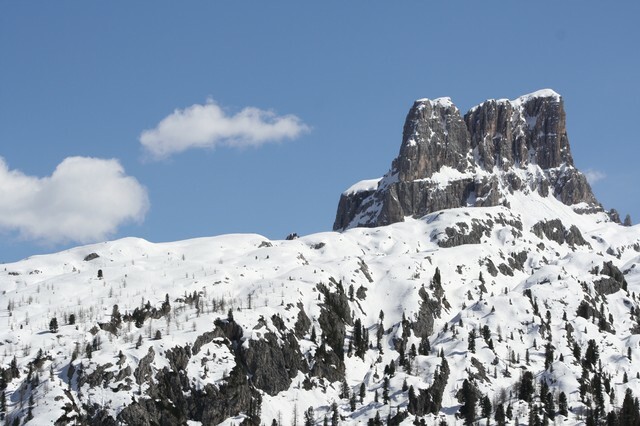 "Queen of the Dolomites” rises above one of the highest Italian villages Malga Ciapela. Marmolada is due to the possibilities of skiing and for its position as one of the most sought-after ski centers throughout the Alps (Located directly on the Sella Ronda, the middle of the Dolomites). 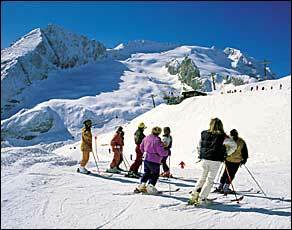 The ski area with 15 km of slopes, s 12kilometrovou The Bellunese z Punta Rocca then Malga Ciapela, is denoted by Italian and foreign journalists as the most beautiful in the Alps. 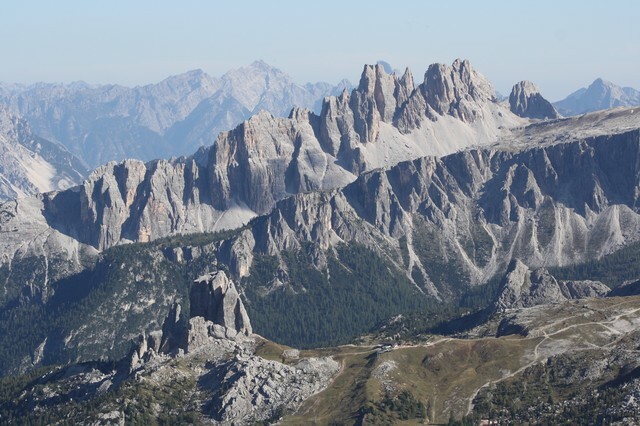 Winter or summer holiday under the Marmolada mountain massif is interesting not only because of the beautiful outlook of the Dolomites, but also because of its history. Find a museum 1st World War – demonstrating military structure on the mountain tops, severe fighting took place here between Italy and Austria-Hungary. 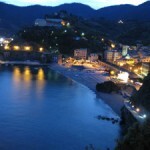 Church of the Rock in Punta Rocca is known, he was canonized by Pope John. Paul II. 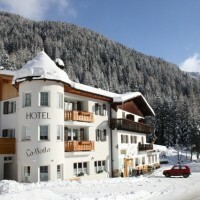 7-day ski stay away from 11.250 ,- CZK (Polop. / os.). Children up to 30%. Discount for groups 10 people.